I have seen a lot of youtube videos claiming that the difference between SPF30 and SPF50+ is negligible. I have already discussed this subject on my post on “How to choose your sunscreen,” still I want to emphasize my point. The daily UV-dose we receive is approximately 3.5% UVB and 96.5% UVA. The “little” 3.5% UVB trigger sunburn even though UVA also contributes to sunburn but to a lesser extent. So a little UVs burn a long way. 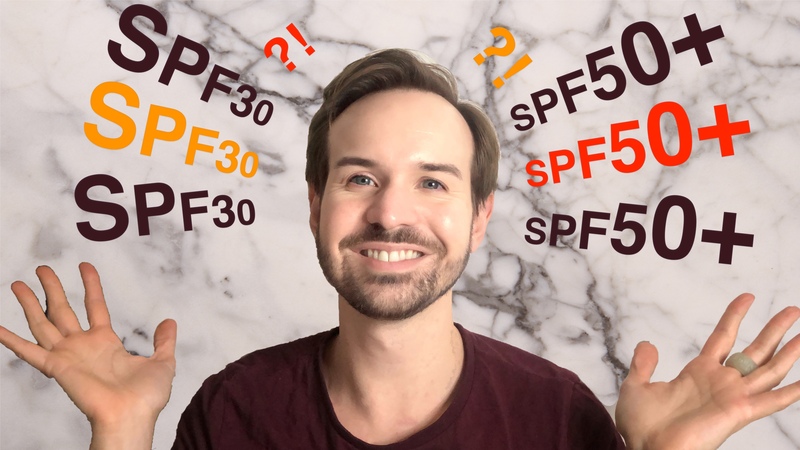 The assumption that SPF30 is equivalent to SPF60 comes from those numbers: an SPF30 filters 96.7% of the UV while SPF60 (=SPF50+) filters out 98.3% so a difference of 1,6%. What is important is what is transmitted to the skin aka the UVs that will reach your precious cells. An SPF30 transmits 3.3% of UV while an SPF60 transmits 1,6% of UVs. An SPF60 protects twice as much as an SPF30. The argument is always the same the less UV burn the skin, the better. A common myth is to believe that sunburns are only due to UVB. In reality, 90% of sunburn is due to UVB the rest to UVA. Higher UVA protection is required to achieve higher SPF. In Europe, an SPF30 has a UVA factor of a minimum of 10 while SPF60 of 20 (or above). For other countries, it is likely the same as higher SPF are met by increasing the UVA protection with the UVB. Applying the correct amount of sunscreen every day is challenging to achieve. Most of us use less than the recommended quantity. An SPF60 apply at 1mg/cm2 (so half the recommended dose) leads to an SPF30. If you know you are to light-handed in the morning, you have decent protection by choosing a high SPF and UVA protection. I always recommend to apply the correct amount or more, but I know from experience that not all of us do it especially if you like to wear makeup. On my last blog post, I have shared that the SPF decrease of 30% after 8 hours. So starts high in the morning to have decent protection 8 hours after. I find it challenging to reapply sunscreen during the day when you have office work and wear makeup. I hope you are now convinced to only use an SPF50+ for your everyday sunscreen.